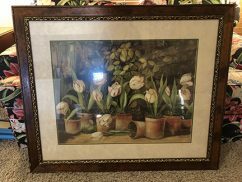 Antique dark wood bed frame for sale. In good condition, with some minor scratches and chips. Mattress was used for less than 1 year in a smoke-free, pet-free home. Bed frame can be sold separately, $150 OBO. 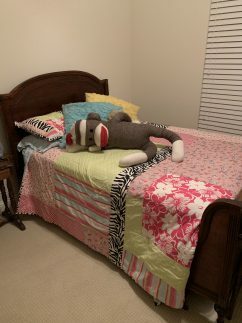 Bedding (sheet set and quilt) can be purchased as well, if interested. 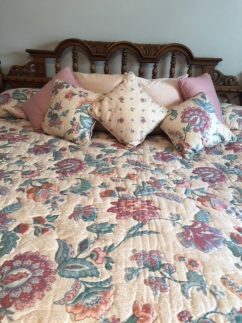 Heavy, quilted custom spread; spotless; excellent condition with pillows. 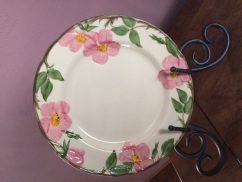 8 piece place setting with plates, coffee cups, saucers, salad plates and bowls, with 3 serving bowls, a platter, sugar bowl and creamer. Excellent condition. 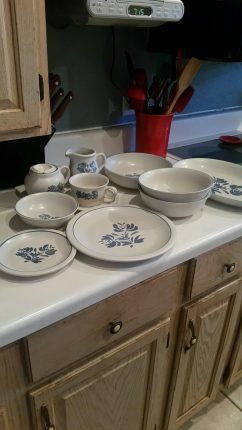 Hundreds of pieces of Desert Rose dishes, including some unusual pieces, painted glasses, bowls, and goblets, and platters. Prices are very low.